As the newly appointed Urban Engagement Coordinator at the French-American International School of San Francisco, in fall 2018, Michelle is focusing on the launch of an internship program for students and a speaker-salon series for parents, alumni and faculty/staff. 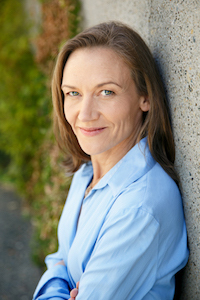 In her on-going capacity as the Artistic Director of the school's performing arts program, Michelle will be be sharing about arts-education in the wider professional community, leading a workshop on collaboration at the National Association of Independent School's annual conference, Re-imagining Independent Schools, in spring 2019. In 2019, Michelle will also be developing new artistic work. At the school, she is collaborating with colleague Marie Walburg-Plouvier on Electric Voices, to be performed in May 2019. This new work is inspired by voices - ancient, present and imagined - related to the experience of war and its aftermath. That project will draw, in part, from materials gathered by student participants in a 2-week trip to Vietnam and Cambodia, slated for spring 2019. Electric Voices will also be nourished by Michelle's training and conversation with Tom Bentley-Fisher. Michelle met Tom in 2017 and, intrigued by his expertise in Yat work and unique sensibility, began training at his center. She looks to 2019 to deepen this area of exploration and collaboration. Michelle is also working on developing a new iteration of Sheryl, Hamlet and Me, originally performed under the direction of Ben Yalom in fall 2017 as part of foolsFURY's Role Call. As the play's themes and source material have been a moving (and trending) target (power & influence in the digital age; Facebook's challenges; #metoo feminism, etc. ), look for more to come on this evolving project in 2019! Michelle is also working on next steps in her on-going artistic conversation with Moise Toure of Les Inacheves, who has been a key thought partner since 2011 and an active collaborative partner on several projects since 2013. The work with Moise in turn relates to a wider interest in international collaboration, and connecting French-American artistic communities, in particular. Michelle's other work in this arena has included leading foolsFURY's French Plays Project, dedicated to the translation and production of new contemporary French plays. For foolsFURY, Michelle translated and directed the US Premiere of Fabrice Melquiot's The Unheard of World in 2015. For the Playwrights Foundation, Michelle has translated Leonore Confino’s Les Uns sur Les Autres and Nathalie Fillion’s A L’Ouest (co-translated with Emily-Jane Cohen as part of the Voices Found in Translation Festival).